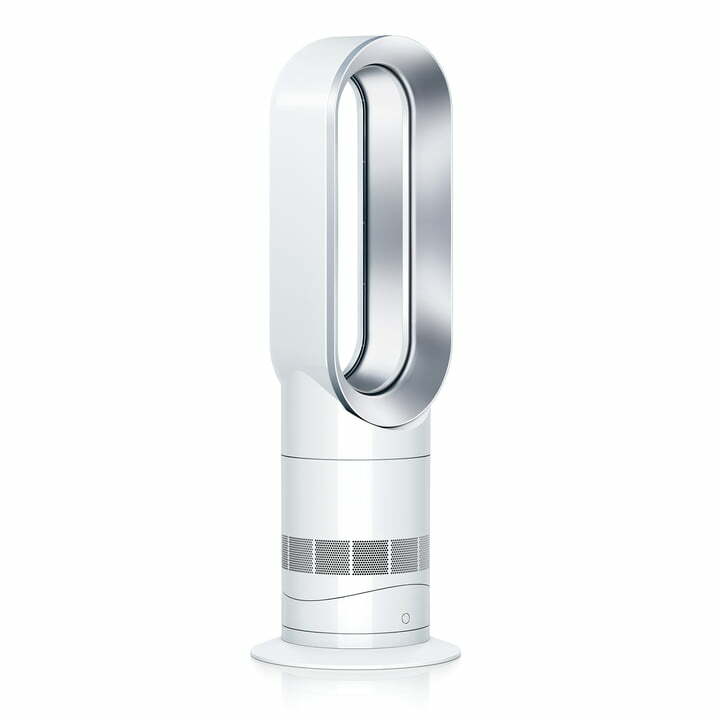 The AM09 Hot + Cool by Dyson works with the Jet Focus Technology - without conventional rotor blades. 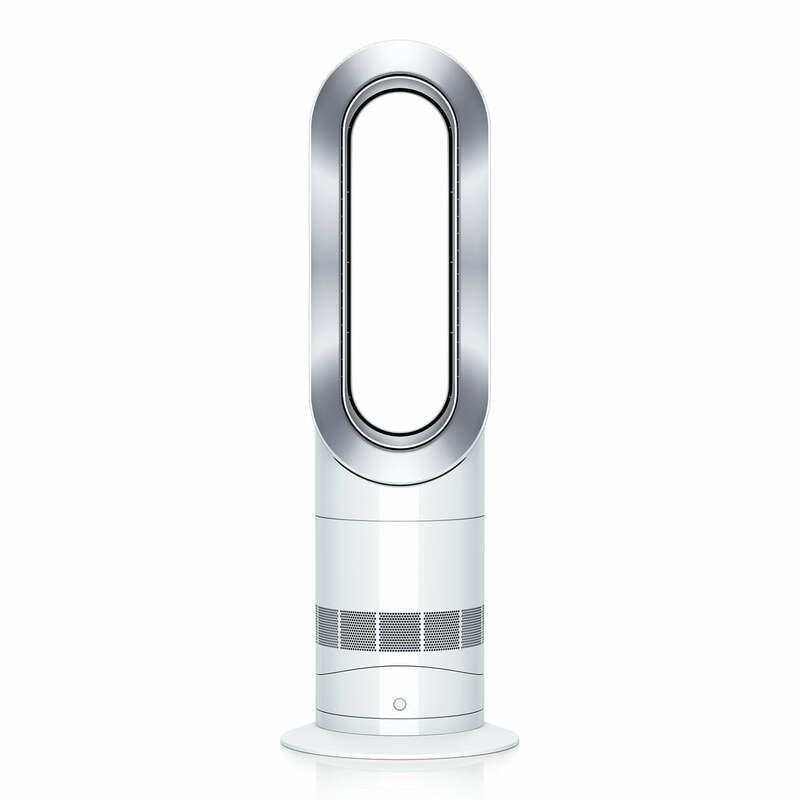 Thanks to the high range and distribution function, the room can be quickly and evenly heated or cooled with the fan or heater. Whether in summer or winter - thanks to its functions, the machine can be used all year round. A practical feature: the sleep timer function, with which the device automatically turns off after a defined time, so that the Hot + Cool can run overnight. In contrast to the previous model, this model is 75% quieter, because optimised air ducts reduce air turbulences. The Dyson Hot + Cool can be individually set via a remote control for a total of 10 different levels. 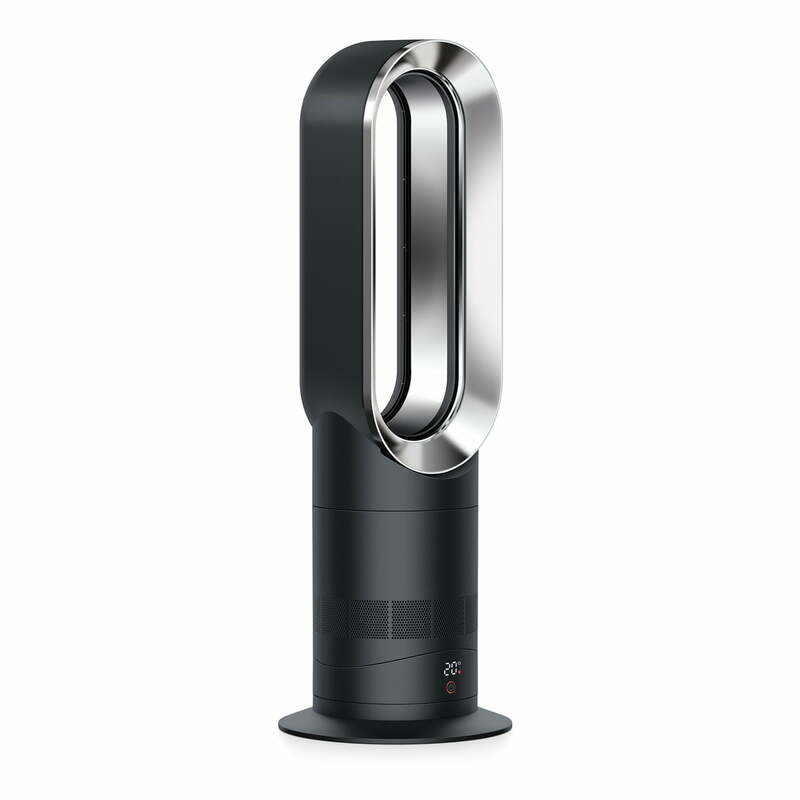 In addition to the various modes, the device can be configured - thanks to tilt and oscillation - so that cool or warm air will be directed in one area or distributed throughout the room.